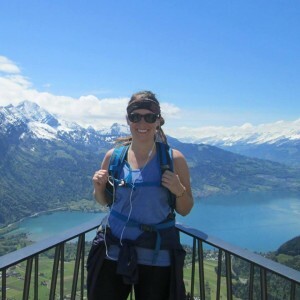 Heather Benoit is participating in the 2017 Dream Mountains Kilimanjaro Trek, in support of Habitat for Humanity. My name is Heather Benoit. I am a nurse practitioner from Newfoundland living in Saskatchewan. It is incredible how life has a way of presenting incredible opportunities to you when you least expect it. My twin sister and I have had a passion for travel and adventure since we were children, we recently found out about the dream team and decided that it would be the perfect avenue to pursue this passion. The Dream Mountain Foundation is amazing and unique in the sense that it combines summiting the highest peaks of the seven continents, while supporting seven charitable organizations. In this journey, we will be summiting Mount Kilimanjaro in the beautiful continent of Africa, while fundraising for Habitat for Humanity. Habitat for Humanity is an amazing charity whose mission includes mobilizing volunteers and community partners in building affordable housing and promoting homeownership as a means to breaking the cycle of poverty. As a healthcare professional, I have witnessed firsthand how homelessness and precarious housing is a very real issue in our country and am thrilled to do my part in fundraising for and promoting this charitable organization. I am stoked for this adventure and beyond excited to be a part of the dream team!